Myrtle Beach and the entire Grand Strand is like no other beach town in America. Locals enjoy mild winters, warm summers, and the ability to play golf or enjoy a stroll on the beach year round. 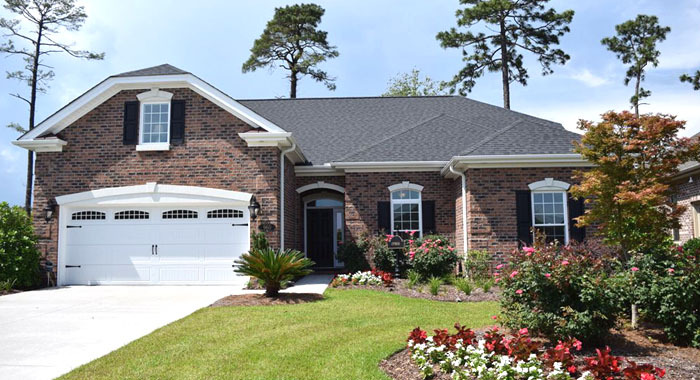 The real estate market along the Grand Strand is very active and the majority of sales taking place here in 2015 are new homes in North Myrtle Beach, Myrtle Beach, and the south end around Murrells Inlet. There are a number of well-known national builders such as DR Horton, Pulte Homes, Centex, and Lennar. In addition, there are some award winning regional builders and a few local builders that offer some of the best houses around the beach. We're going to tell you a bit about these builders. While you search our website for new homes for sale or new construction communities, you will find homes priced as low as $150,000 to over $1 million. There are plenty of options in size, styles and location. Golf course homes are always popular, and some new homes on the Intracoastal Waterway or along the inlets and channels are being developed as well. There are also townhouses and active adult communities with patio homes to be found. Purchasing a new home will allow you to invest your time and money where you want. You won’t have to deal with the repairs that are required when buying used. The standards for today's new construction are much higher than before, so you will often receive the benefits of a low maintenance home and a 10 year warranty. Buying a new home can give you peace of mind. Feel free to search homes on our site time and time again. 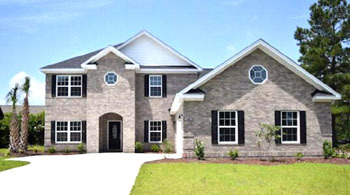 At MyrtleBeachNewHomes.com, we want you to have the information and representation you need when making a decision to purchase. And you NEED representation. Having a buyer's agent watching your interests can save you thousands of dollars when buying new construction. It may be more important than when you buy an established home. The on-site agent for the builder has the builder's interest in mind, not yours. We specialize in representing buyers of new homes. Contract Construction Consultants – Writing the contract the right way can save you thousands. Upgrade and Additions Negotiations – The developer will never offer anything for free. We have negotiated hundreds of purchase agreements with these builders and know first hand what they are willing to give you for free. We know what to ask for. Learn more about our 1% Buyer Rebate Program. Browse some of the new developments we show you here and see if any catch your interest. If so, call us and we'll show you how we roll!